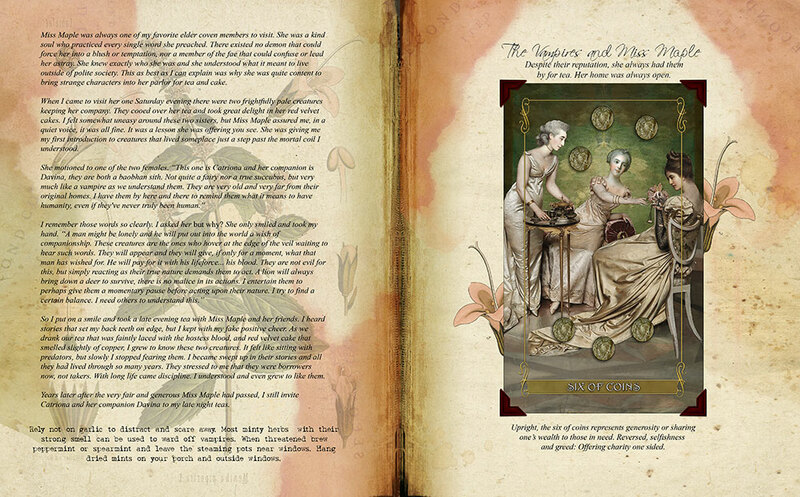 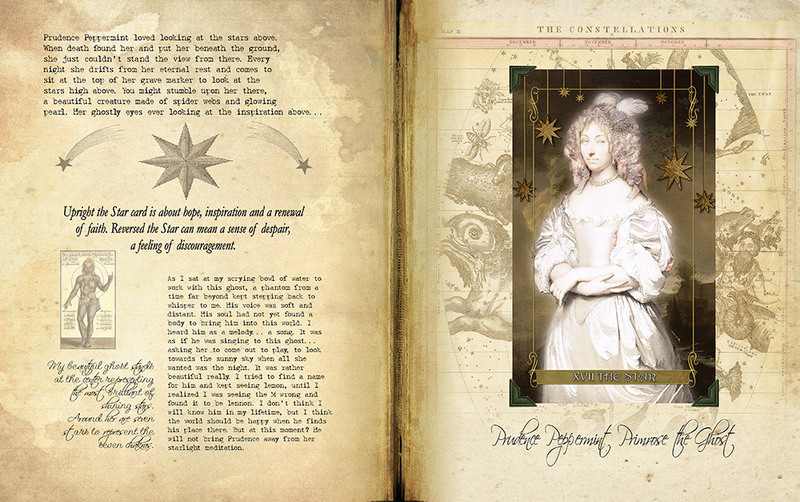 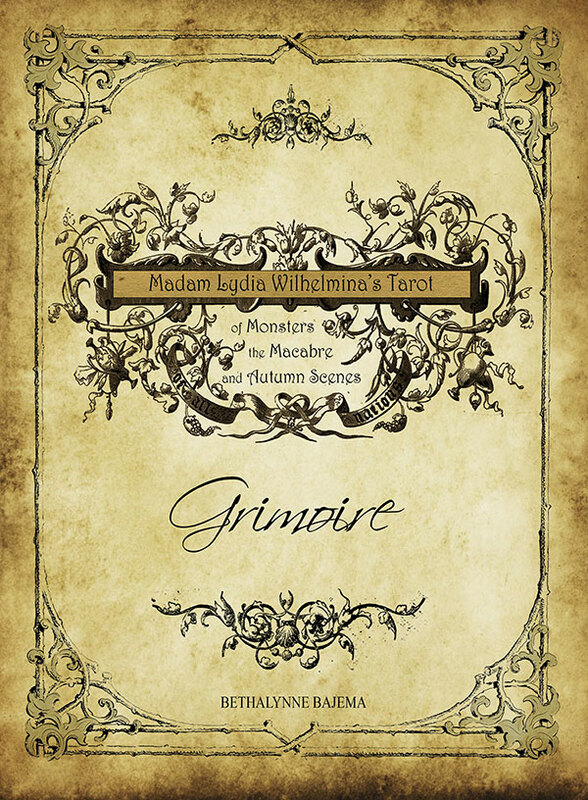 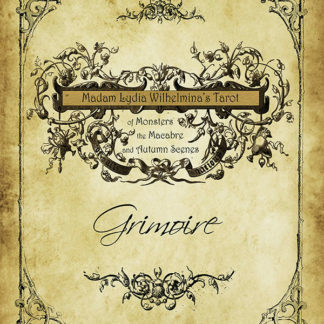 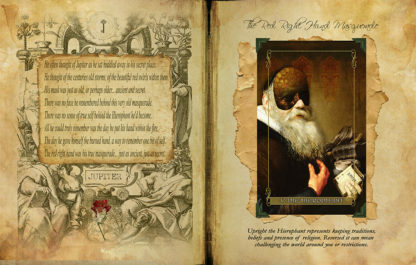 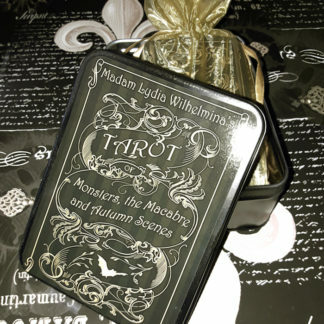 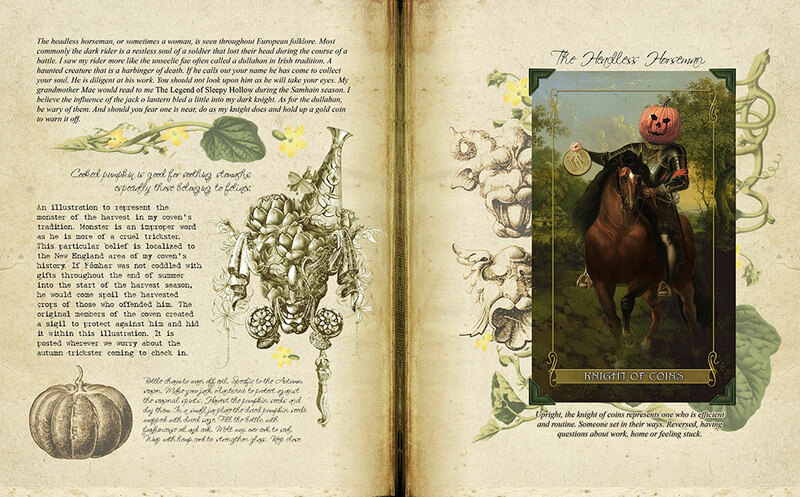 The companion grimoire for the Lydia tarot is many things in one: A book of shadows, a resource for deck meanings and the history and story of the deck’s fictional creator Madam Lydia, as well as a work of art that adds an extra layer to this unique tarot deck. 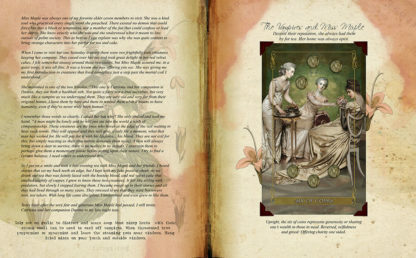 You can see previews to the left, or scroll down for ordering options. 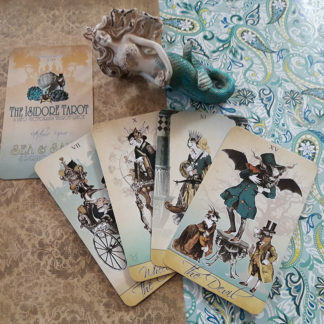 Madam Lydia Wilhelmina’s Tarot of Monsters, the Macabre, and Autumn Scenes started off as a small idea that slowly blossomed into a much larger entity. 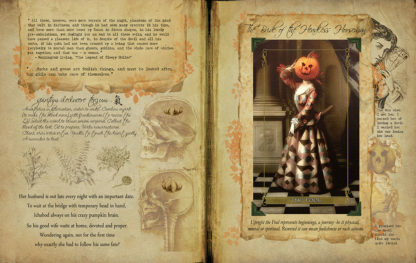 First I met Madam Lydia and slowly she showed me her world. 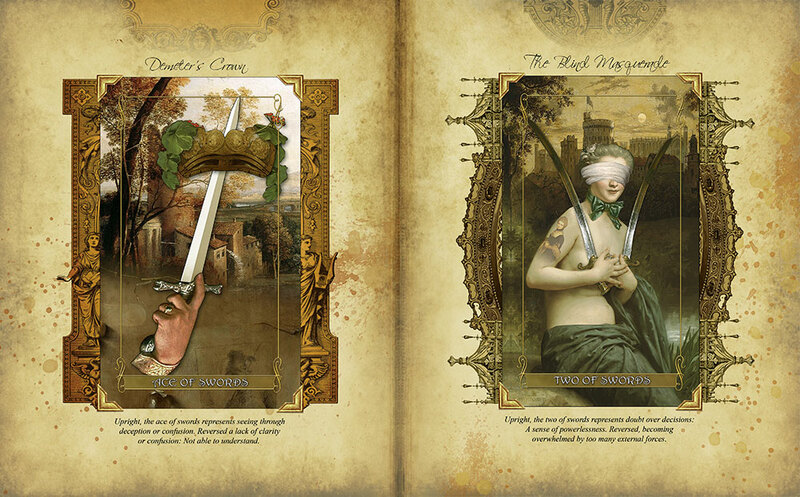 Then I got to know the tarot deck that would be her claim to fame. And from there a much larger world started to reveal itself from behind the shadows. 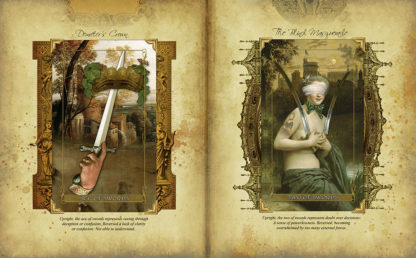 There is the tarot deck itself, and then there is the book of shadows behind it that allows access to that world. 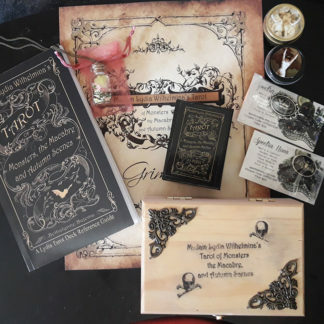 The Lydia deck’s companion grimoire has been a labor of love for me and it has become a far larger project than I was expecting. 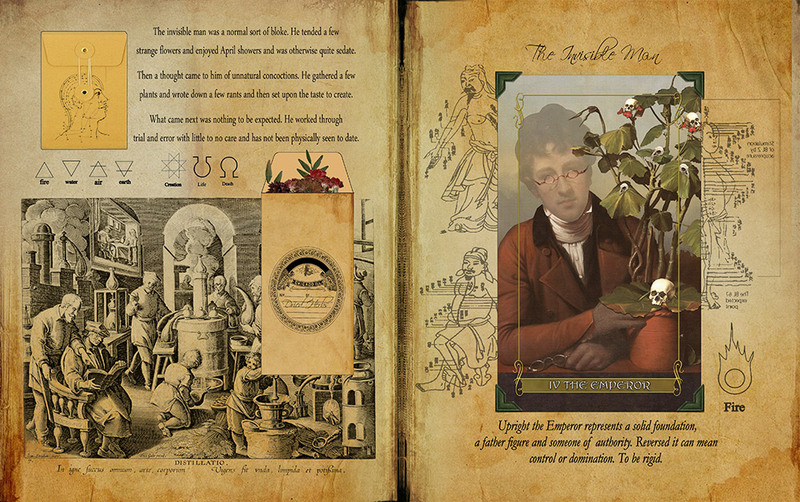 Aside from the tarot aspects it’s associated with, it also looks into the world of spells, working with herbs, the mystery of the moon and the lady that sits behind it, and everything else I could pen into it. 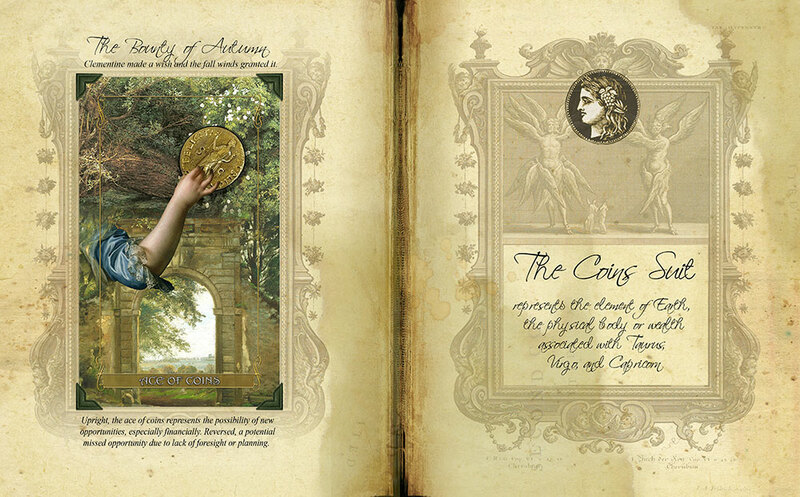 This is a 100 plus pages of art, storytelling; a graphic novel told via a book of shadows. BOOK DETAILS: This is a full color, 8.5 by 11 inch trade paperback book with a matte finish. 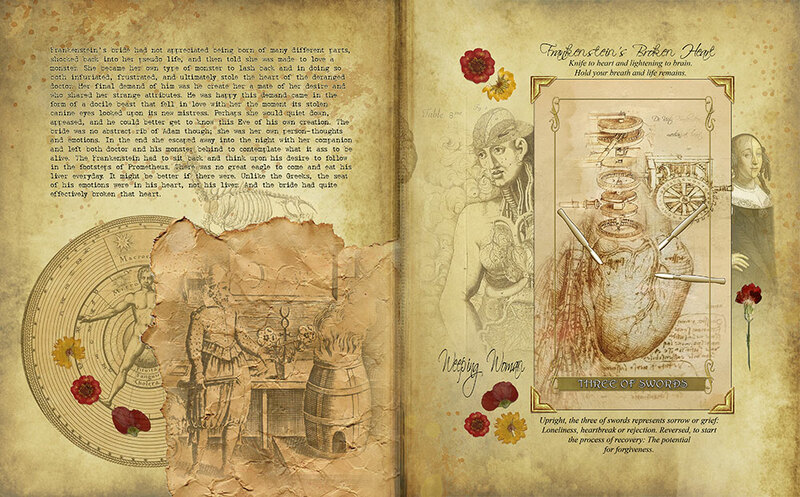 It includes quick references for each card as well as more dedicated writings about them and the scenes or characters within the cards. 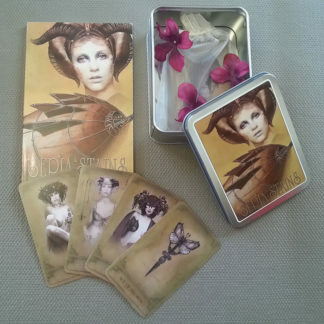 This item ships from my studio usually between 2 to 3 weeks. 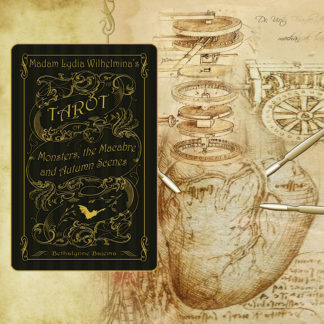 For quicker shipping or to take advantage of your Amazon Prime account, you can order it directly through Amazon here. 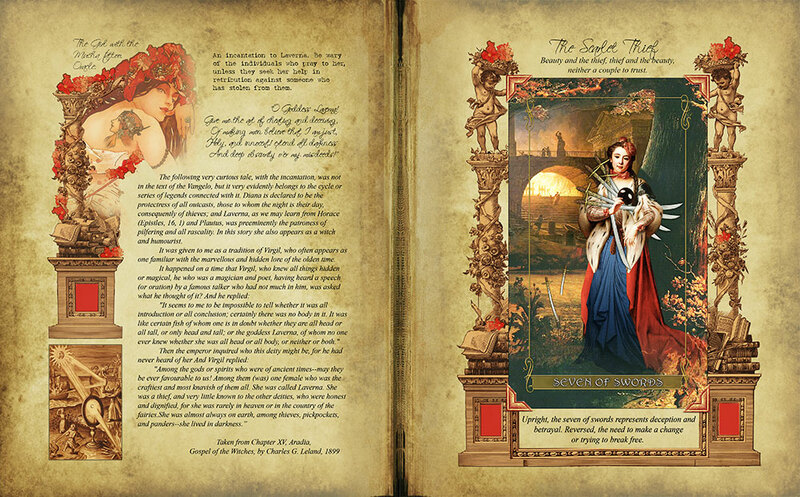 You can see a brief preview below.